This charming, four-bedroom villa offers all the space and amenities you need for your family vacation. 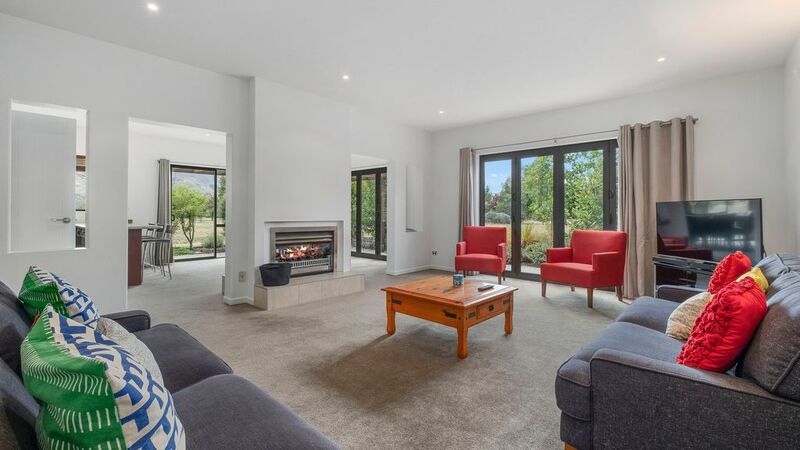 Nestled in the 5 acres of the Heritage Park Wanaka Villas, this holiday home is the perfect location for a ski trip or summer break. The Villas are ideal for indoor/outdoor living with large bi-fold doors opening onto a patio to enjoy the summer sun and spectacular mountain views. The villa also features under tile heating to keep you nice and warm after a day of skiing or snowboarding on the mountains. Light, bright and contemporary, the villa features an open plan layout with more than enough space for the whole family. Located 3km from the town centre, Heritage Villa provides incredible space and tranquillity without being too far from downtown Wanaka. There are 2 restaurants within walking distance, with plenty of eateries and retail outlet, all within a quick 5 to 10-minute drive.